During your visit to our Nashville European Auto Repair Shop website, you may have been wondering more about German Automobiles. Well, you’re in luck! We found this great video that talk about the 10 most expensive cars in Germany. If the video doesn’t load properly, we have added the video transcript below. If your German Automobile is in need of repair, visit GPO Tuning’s Nashville European Auto Repair Shop. 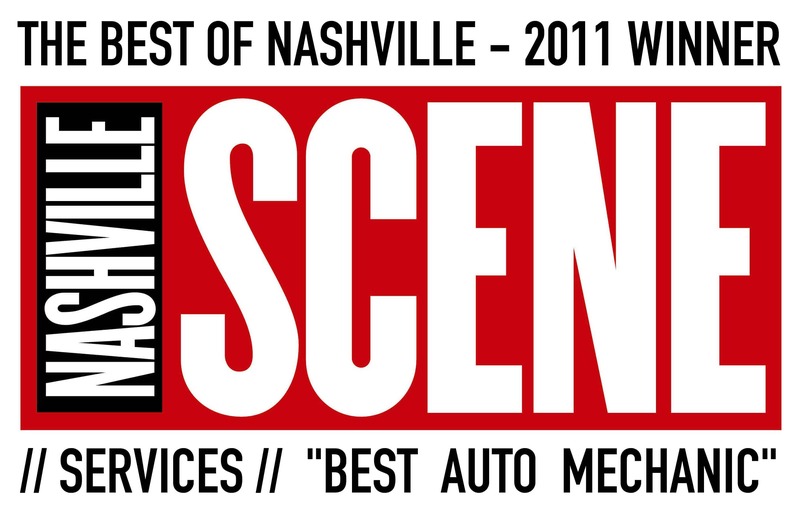 You can give us a call today at (615) 392-5514 to schedule your appointment. Dave Walpole: Germany is a country that knows how to make good cars, and despite your feeling about what your preference is, you have to admit that German engineering has made their vehicles from their country stand up against other competitors from around the world. And because of the quality of their vehicles, they can sometimes have some crazy price tags. And today on FTD Facts, we are gonna talk about the most expensive cars from Germany for the years of 2017 and 18. Dave Walpole: Hey all you motorheads, what’s going on, Dave Walpole here, and welcome to FTD Facts, the channel where we talk about people, culture and places from all around the world. Dave Walpole: Now, today we’re looking at cars from Germany. Why? Well, we’ve talked a lot about Germany’s culture and country in the past, and you know what? Just German engineering’s amazing and me, I kind of love cars and I don’t know if you’re a big car, maybe you’re a bike person out there, who knows. But today we’re gonna look at the most expensive ones that are from the country. Dave Walpole: Now before I get into this video, just to remind you it’s brought to you by Grammarly.com, we’ll talk about that maybe a little bit later. Dave Walpole: And of course I just wanna know, what is your favorite car that you’ve ever seen? Me, tough call between either a DeLorean or a 1959 Cadillac. Oh, I just love the classics. Dave Walpole: So let’s start off with the Audi S8. Now everyone loves an Audi, but this little beast has a top speed of 304 kilometers per hour. And with its V8 engine, it can crank up to 605 horsepower. And because of that, it is capable of going from zero to 100 in 3.3 seconds and the price tag for this little beast comes in at 114,900 dollars. Audi’s need specific auto repair shops for any work to be done. If you are ever in the Phoenix, AZ area looking for a shop, you can visit Chelsee’s A/C & Brake Emporeum. Dave Walpole: Number nine, the BMW 6 Series. Now the 6 Series is capable of going at 100 in 4.2 seconds with this petrol or diesel engine that pumps up to 552 horsepower, which is a little bit more than it’s previous models since it began its release in 2003. And of course, these vehicles are known for their great safety and braking as well. And the price tag for a BMW 6 Series comes in at approximately 122,000. Dave Walpole: Number eight, Mercedes-Benz GLS550, now I never really got the idea of spending a lot of money on an SUV, I just never really saw the point, but when it comes to safety for your family, maybe you do wanna invest. Because this one is one of the kings of SUVs. With 449 horsepower behind its twin-turbo V8 engine, she gets the job done. And besides its nine-speed automatic shift box, it can go up to 213 kilometers per hour and get to 100 in 5.3 seconds. Which is good for getting the family out of any tight situations. And the price tag for this SUV comes in at 124,000 dollars. Dave Walpole: Number seven, the Audi RS7. With a 4.0 V8 engine, this all-wheel drive vehicle is capable of getting to 100 in 3.6 seconds with a horsepower of 560, she can definitely put some dust in somebody’s eyes. And the price tag for this Audi comes at 129,000 dollars. Dave Walpole: Number six, the BMW M4. Now the M4 series is known for their luxury. It’s something you might see James Bond in. With 493 horsepower, it takes her only 3.8 seconds to get to 100, and with a max speed of 261 kilometers per hour and pinpoint handling, she’s not to be messed with. And the price for a BMW M4 comes in at approximately 133,200 dollars. At that price, hopefully, you won’t need to visit the mechanic shop. Edmonton, Canada is also known for having a good selection of BMW’s if you are ever up North. Dave Walpole: Number five, the Audi A8L. So what can be said about an Audi that’s not already been said, or not already known? Besides the great luxury of this vehicle, she only takes 3.9 seconds to get to 100 and has a top speed of 208 kilometers per hour. And for her, she has a price tag of 137,900 dollars. Dave Walpole: Number four, the BMW i8. Now the i8 is one unique car on this list, for it is the only one on this list that has the ranking of the world’s first petrol-electric hybrid engine. But don’t let that fool you because it only takes her four seconds to get to 100 kilometers per hour, reaching a top speed of 250 kilometers per hour. And the price tag for a BMW i8 is approximately 147,700 dollars. Dave Walpole: Number three, the 2016 Porsche Cayenne GTS. The 2.5 ton SUV only takes five seconds to get to 100 but has a 4.4-liter V8 engine with 422 horsepower, and besides its cushy interior, it’s good for families as she reaches a max speed of 210 kilometers per hour. And she comes in with a price tag of 159,600 dollars. Dave Walpole: Number two, the 2016 Porsche 911 Turbo S. Now what can be said about the 911 besides the fact that it is one sleek machine? To me, I’ve always thought of them as Beetles that were on crack, but that’s just my personal opinion because they kinda look like a Beetle. But out of all this, it has one of the fastest accelerations on this list, being able to get to 100 in three seconds flat. And the price tag for this beast is 194,600 dollars. Dave Walpole: But coming in at number one is the 2016 Porsche Panamera Turbo S. And she is the most expensive on this list, although not being as fast as the 911, which takes her approximately 3.6 seconds to get to 100, she has a 4.8 liter V8 engine capable of giving 570 horsepower and reaching speeds of the fastest of 350 kilometers per hour, making her one extremely unbeatable machine. And the price tag for this Porsche comes in at 263,000 dollars. Dave Walpole: But anyway guys, that is our top ten list of the most expensive cars in Germany, my name is Dave Walpole and thanks for tuning in, now before you guys get out of here, just to let you guys know, this video has been brought to you by Grammarly.com, feel free to check them out in the description box below. Dave Walpole: Also in the description box below guys, is my Instagram, you guys can either leave a comment on my Instagram, or you can leave it here on the channel of whatever you guys would like to see next on the channel. On top of that, in the description box below is a link to our other playlists. Feel free to check them out because we’ve got some really cool stuff that I think you guys will want to check out. Dave Walpole: But other than that, you guys take care and have yourself a fantastic day. Bye. Dave Walpole: So you made it to the end of another FTD Facts video. Well, that’s fantastic, but how about you check out this playlist right here because this is a playlist of our most favorite videos that you’ll wanna watch. Other than that guys, hit the subscribe button and keep learning with us, leave a comment down there and until then, we’ll see you in the next video. Bye. Looking for a storage facility for your car? Call us today for references! We’d be happy to help out!